Domestic consumption remains a key priority for China. As Chinese consumers become wealthier, a growing emphasis is placed on the quality rather than quantity of the products and services purchased. In response, the government has introduced a more targeted policy plan to improve consumption and boost consumer spending power in emerging sectors. Build stuff or buy stuff? China has long been a believer in the former to deal with a slowdown in its economy. Now it’s trying to shift the emphasis to the latter. Chinese New Year 2019 begins on Tuesday, but economic conditions may put a damper on the jubilation. As the trade discussions between the United States and China enter a critical phase, it is becoming clear that China’s economy has taken a hit as a result of the ongoing trade tensions. The European Commission’s Joint Research Center released a report that explores the European perspective on artificial intelligence (AI), along with the global AI landscape’s state of play. The report recognizes the value of AI across industry, but while acknowledging the fierce competition on AI taking place between the EU, China, and the United States, it ultimately dismisses the need for Europe to win this global race, arguing instead that for the EU, the more important goal is focusing on developing values and ethics in AI. This is a naive perspective, especially given that China is not only fiercely competing on developing AI, but also aspiring to dominate in AI so as to compete in industries where Europe is leading today. Ironically, even if the EU’s first priority is to shape the values and ethics of AI, it will be severely limited in its ability to do so if it is not leading the development and adoption of this technology. To put that number into context, it’s estimated that as of September 2018, there were only around 4 million electric vehicles in use across the whole world.New energy vehicles accounted for just over 4% of all 28.1 million automobiles sold in China last year. That’s a higher rate than the US (under 2%), and Europe (just over 3%). But it’s not high enough to satisfy the Chinese government. Last April it announced ambitious targets of 10% for conventional passenger cars in 2019, rising to 12% in 2020. The massive spending power of outbound Chinese tourists that is due to unleash this Chinese Lunar New Year season spells a billion-dollar opportunity for luxury brands. One has to wonder how long demand for desirable expensive foreign goods and experiences can hold up for, especially when paired with a weakening local currency. For the time being however, China demand for luxury seems to be mighty resistant. China Everbright International has secured deals worth $313 million to develop waste to energy projects in Hainan Dongfang, Zhejiang Shengzhou and Shandong Pingdu, as well as a leachate treatment project in Ji’nan. Charges Against Chinese Hackers Are Now Common. Why Don’t They Deter Cyberattacks? China’s President Xi Jinping may have dialed down cyberattacks because of a deal with the U.S., or as part of his own moves inside China, or both. Later, though, they crept back up again. This is part 2 of our series on China Joint Ventures. 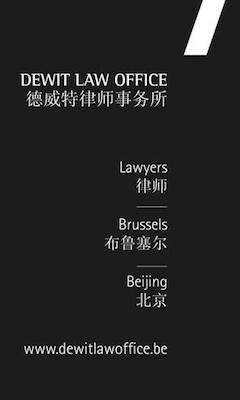 We are writing this series now because our China lawyers are seeing a record number of potential joint ventures, due largely to China’s declining economy, the belief that truly foreign companies will not be well-treated in China and a desire to try to “share the risk” of all this uncertainty. In part one of this series, China Joint Ventures: The Long Version, we talked about fake and exploitive joint ventures. In this excerpt from his upcoming book, “The Future Is Asian: Commerce, Conflict, and Culture in the 21st Century,” Parag Khanna describes the beginning of an Asian-led world order. Countries try to slow Beijing’s advance without provoking hostility The economic corridor initiative, they say, sways opinion in its favor in three ways: energy generation, foreign investment and job creation. Chinese-backed power projects have, quite simply, brought light to parts of Pakistan once plagued by blackouts. For the countries now linked to the Belt and Road, the challenge is to bask in the light while mitigating the initiative’s dark side. Chinese New Year is steeped in traditions, including shopping. It’s no surprise, then, that luxury brands would design items specifically for the holiday. The Chinese and Taiwanese militaries have released dueling propaganda videos over the past two days. The People’s Liberation Army video – “My War Eagles Are Flying Around The Treasured Island” – called for reunification while showing clips of Chinese fighter jets conducting encirclement drills around Taiwan. Taiwan’s military responded with a video of its own – titled “Freedom Isn’t Free” – showing its armed forces preparing to repel an invasion. China’s annual New Year’s gala is meant to usher in the Year of the Pig, but the state broadcaster largely censored all words and images related to pigs during the biggest TV show of the year last night.